It’s a snack food, a packable lunch dish, a side dish, an appetizer, an all around helpful thing to have in your kitchen. It’s lightening fast to make. It’s completely addictive. 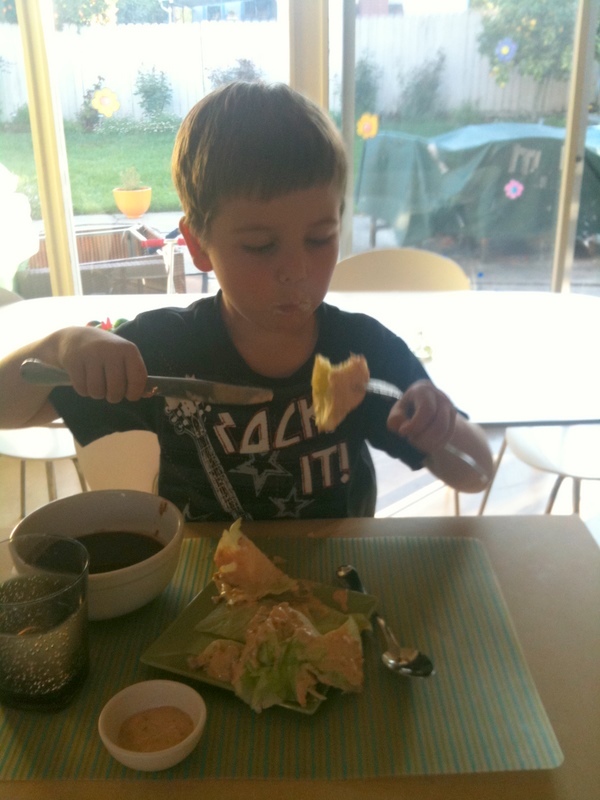 It’s a way of getting your kids to eat more raw vegetables. And even you won’t be able to stop eating it with salads, with crudite, for lunch, before dinner, after school. Even if you don’t like the bottled stuff, try this. There’s no comparison. And there’s nothing like having a big batch of something healthy to pull out and feed the kids when they’re begging for food and dinner isn’t quite ready. I dug up this recipe a few years ago, and while we don’t always have it the refrigerator, it’s the kind of thing that the kids suddenly remember and beg for. 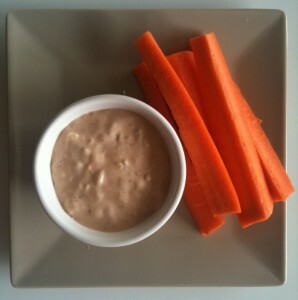 Last week it was Finn’s turn to remember that “pink dipping sauce” and so I made it. I had half a head of iceberg lettuce in the refrigerator, left over from fish tacos the night before, and we whipped up a batch of dressing, and it has lasted us all week. I served it to them first over wedges of lettuce, which Finn thought was just about the best thing ever. The recipe makes a lot, but it keeps really well (even gets better as the flavors blend), so we portion it out all week long, mostly with carrots and celery, which I precut and keep in the refrigerator. The original recipe is here. My only change is to substitute ketchup for chili sauce and add a dash of tabasco (or more or less to your taste). I usually don’t have pimentos, so I often leave them out, but when I’m short on pickles I’ve thrown in a few pimento stuffed olives; you can leave out the egg, but it’s much better with it in. Finely chop the green onion, capers, pickle, egg, and pimiento in a mini-food processor or by hand. Add ketchup, mayonnaise and hot sauce and blend (in processor or with whisk) well. Hey…thanks for that. Cool post. I’ll be checking back when I can for more info. Excellent!